I found very nice photo of diamond dust display (on 3. 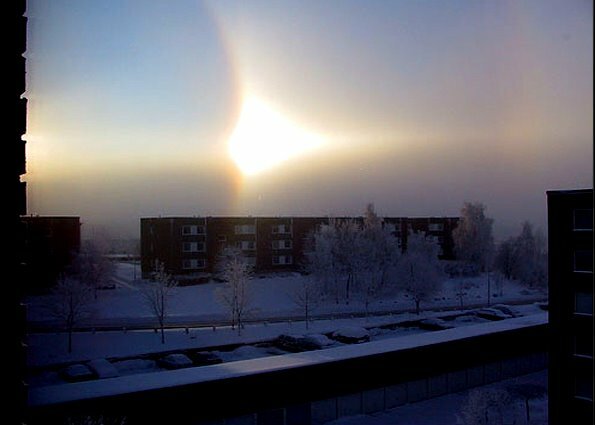 January 2006) with 44° parhelion. Photo is used with permission of Yvonne Primé. All photos of the display are here. See also updated list of 44° parhelia occurrences. Two other reports from the same day are here and here.